or GitHub account with less than 5 minutes of work. Track each step of your onboarding flow to improve the experience. to make changes to your app to see how it affects conversions. "We saw twice the retention rate among users with customized onboarding flow than among regular users. And it took us just one day to implement the customized onboarding screens." Use personalization to give each user the best experience. When an individual opens your app, delight them by customizing the initial screen based on their preferences, usage history, location, or language. Define audiences based on user behavior and other Analytics variables. Then use Firebase Remote Config to show specific content to each defined audience. There's no need to submit a new app update—you can control content and custom audiences directly from your Firebase console. Launch your next feature with minimal risk. The best way to release a new feature is to first test it on a few users to see how it works and how they respond. When you're happy with it, roll it out to the rest of your user base. If you need to disable it for some reason, there's no need to roll out a whole new app and wait for users to update. Start by defining a small percentage of users as testers. Use Google Analytics for Firebase and Remote Config to target a select group of users to test your new feature. Then, use Cloud Messaging to invite them to try it out. Track the results in Analytics. If all is well, roll it out to everyone else, or roll it back instantly from the Firebase console. "Testing features first using Firebase helped us to increase user daily engagement by 5%." It's no surprise that people use apps across devices. A user may check your app on their mobile device, then open it from their laptop, and revisit it later on their tablet. Basic analytics may interpret this as three different users, inflating your churn rate. Get an in-depth understanding of your users across devices. Google Analytics for Firebase lets you export your mobile app data (iOS and Android) to BigQuery and, by matching on UserID, gives you a complete picture of app engagement across channels and devices. "Firebase is an incredibly powerful tool to have so much functionality -Remote Config, Analytics, BigQuery, and more that help us with smarter targeting and insights, under it one umbrella." Let users chat with each other without leaving your app. In-app chat is a great way to increase engagement, but implementing a user- friendly chat feature can be difficult. 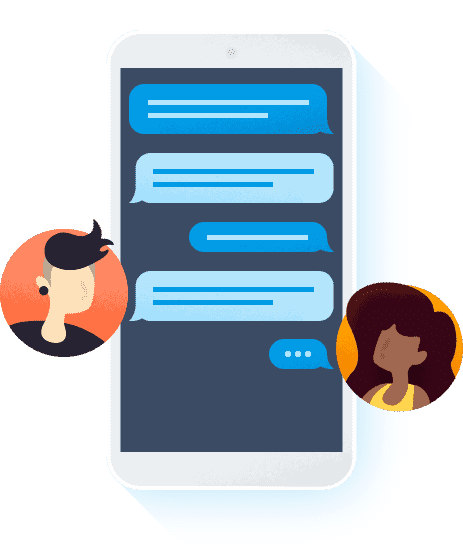 Sync your chat messages between millions of users with Firebase Realtime Database. Seamlessly authenticate with Firebase Authentication, then set up a chat room in the Realtime Database. Messages appear on all your users' devices in realtime. Use Firebase Cloud Messaging to send notifications so that your users get new messages if they're in another app. Different users require different monetization strategies. 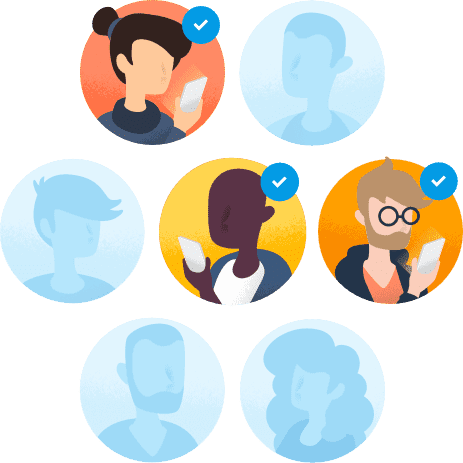 Based on user demographics or behavior, create custom audience lists to segment users into low-potential and high-potential buyers. Link your Firebase project to AdMob to get a complete picture of how much each audience is worth to you. Create the right ads experience for the right users. By using Firebase Remote Config in combination with Analytics custom audience lists, you can define whether a user sees more or fewer ads inside your app. Link your Firebase project to AdMob to measure the impact of your tailored ads experience on audience lifetime value. "Firebase completely freed our engineers from managing campaign infrastructure, and helped our team to be more effective and our campaigns to perform better—which is a huge win for us." Use Firebase Storage to quickly, securely host users' photos in the cloud, then record their file paths in the Realtime Database to enable sharing. Firebase security rules work with the Realtime Database to ensure only the individuals that users share a photo with can view it. Cloud Functions for Firebase lets you maintain the original detail of the creator's photo without forcing users to download the full image (which can eat up data). Cloud Functions runs on Google Cloud Platform, so there are no servers to manage. When users make in-app purchases, they expect speed and security. Many third-party services allow you to process payments, eliminating needless complexity. 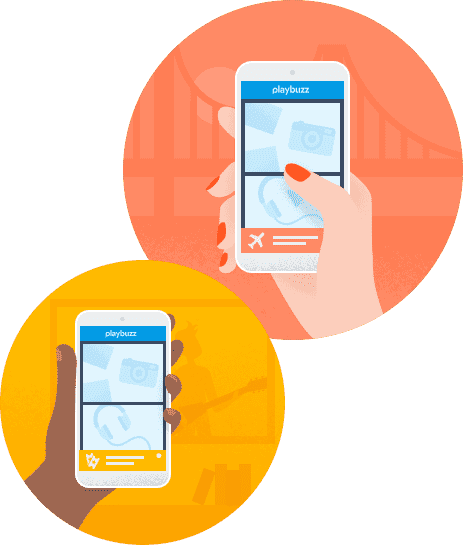 Firebase further streamlines the experience by letting you call these payment APIs securely, without setting up your own servers. Help your customers complete payments in milliseconds. When a user reaches the payment screen in your app, you collect their up-to-date payment information and pass it to Cloud Functions for Firebase. You can then process their payment by making requests to a third-party payment processing API over HTTPS, write the order to the Realtime Database, and return a confirmation message to the user once complete. All securely, without managing servers. Referrals are a highly effective way of driving growth. Your users are going to value their friends’ recommendations far more highly than any marketing that you do. 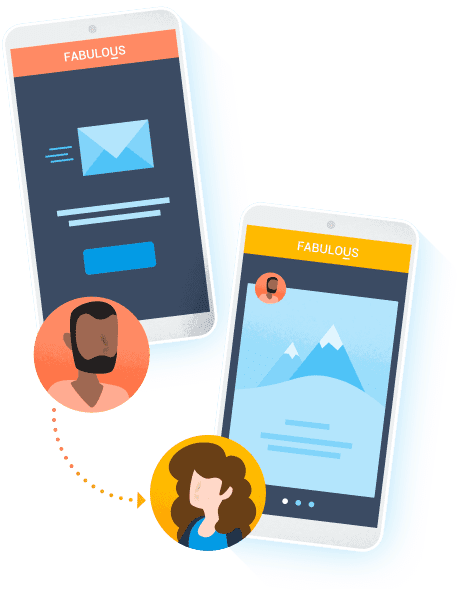 Firebase Dynamic Links makes it easy for you to create a referral system in your app, opening up a large potential growth vector for your product. Reward users for referring friends. 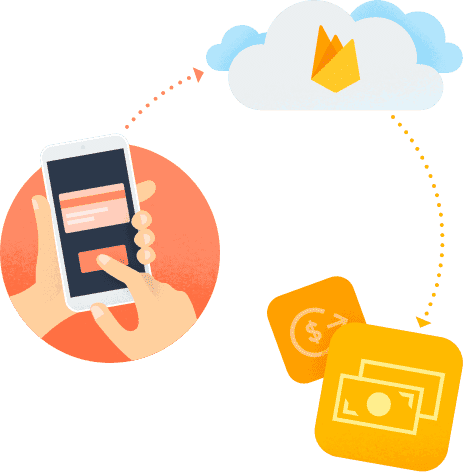 Using Realtime Database and Cloud Functions for Firebase, you can set up in-app rewards for successful referrals. Invitation links work across platforms and referrals receive a custom first-time experience that you design. You can also delay granting rewards to the referral, the referrer, or both until a specific introductory task is completed. That's not news. Anybody who's built an app knows that it's hard to get installs and it's even harder to keep users coming back. You can test in-app promotions, but it can be difficult to know which users to target to drive the most retention for the lowest cost. Create smarter targeting groups using Google's machine learning. Firebase Predictions brings the power of Google's machine learning to your Google Analytics for Firebase data, helping you to create dynamic user groups based on predicted behavior. 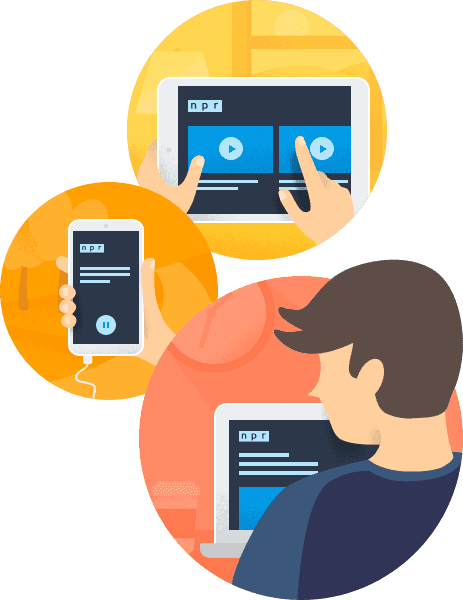 These user groups can be used with Remote Config to target users who are likely to churn with an in-app promotion, keeping them happy and engaged. "Based on the results of the experiment, we decided to roll-out the in-game promotion to our entire user base. Now, any user that Predictions identifies as ‘will churn’ receives a gift of 2000 gold coins and 25 gacha tokens. We can’t wait to test Predictions in our other titles!"